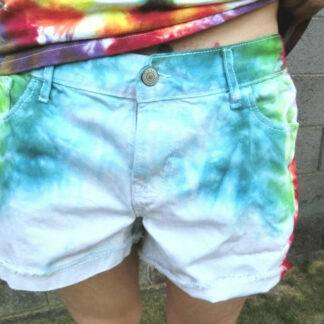 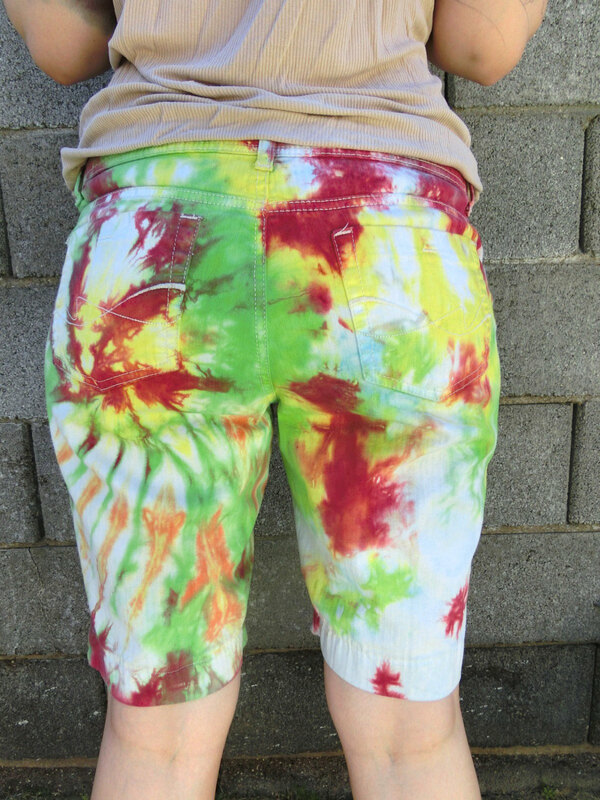 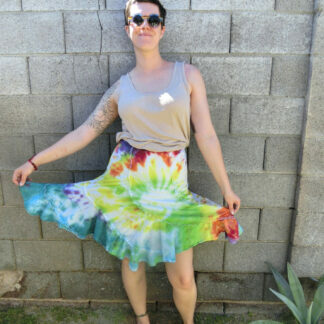 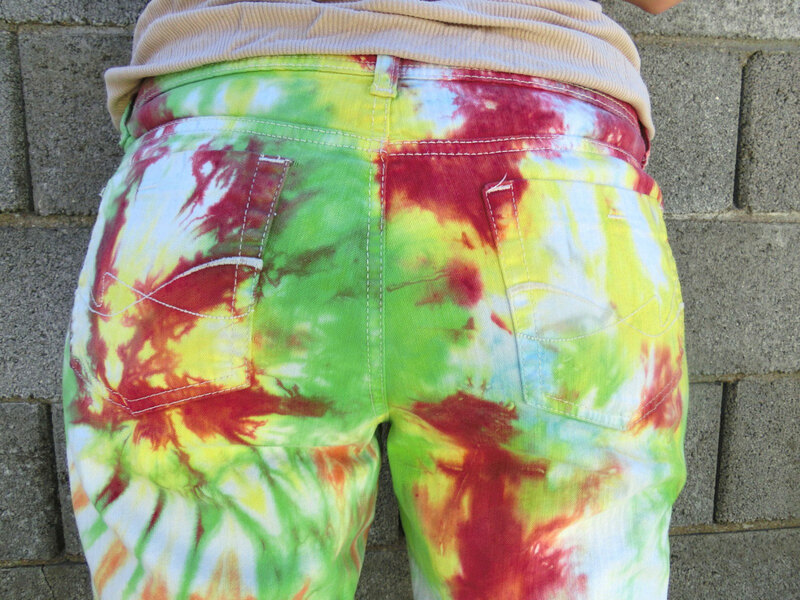 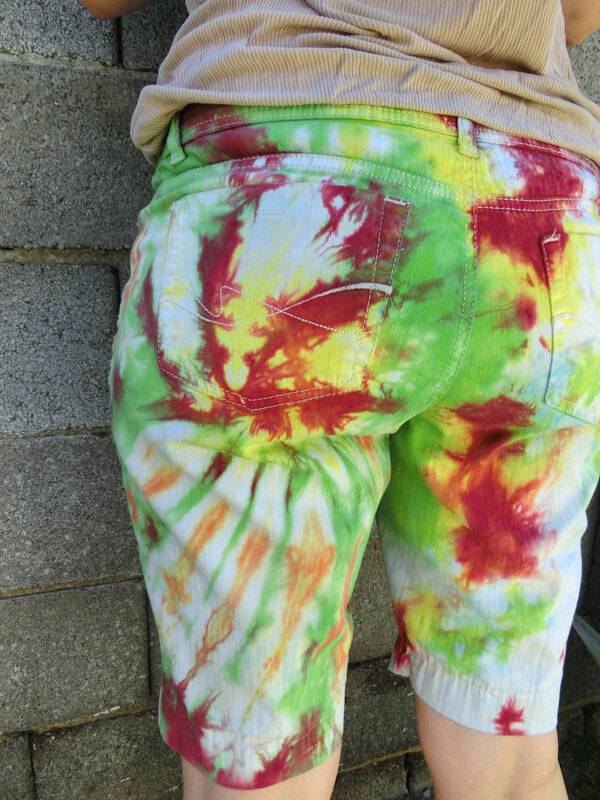 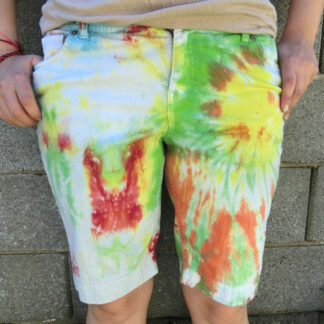 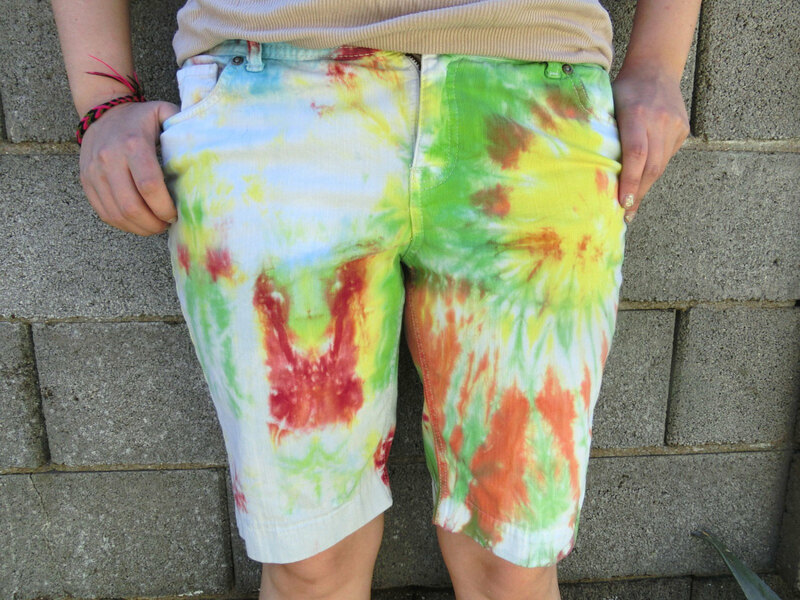 These super vibrant green, red, yellow, orange and red spiral tie-dye shorts are made of soft, pre-shrunk & pre-washed cotton and colors are guaranteed not to bleed! 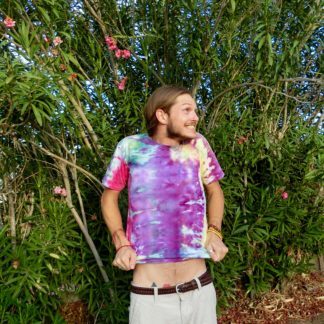 Be fore-warned, front button is missing! 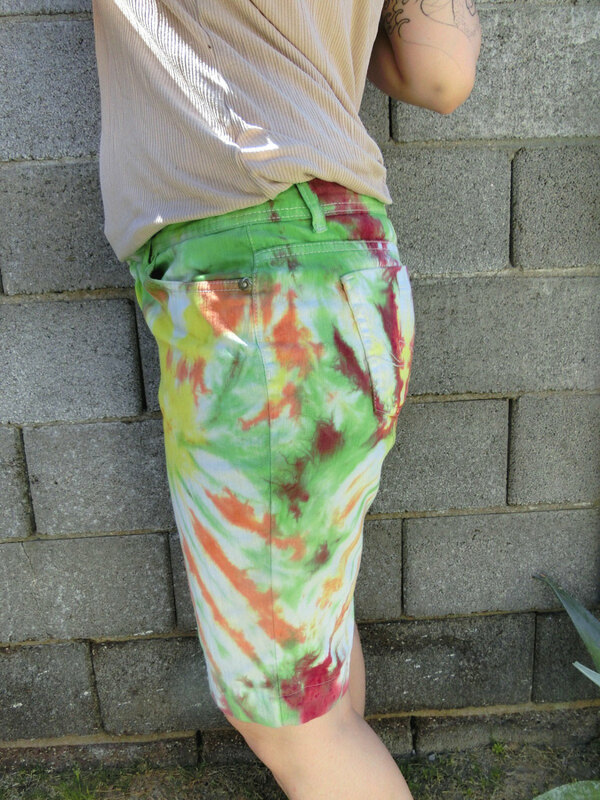 There is a back up button sewn into the seam ready to replace it. 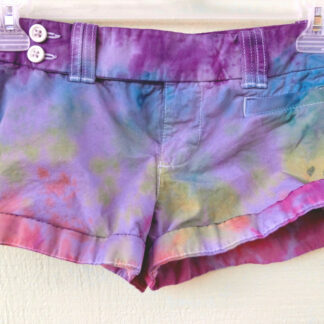 98% cotton 2% spandex preshrunk Faded Glory stretch bootcut classic shorts.